Law&Trust International provides legal support services for natural persons and legal entities in various fields of activities. Our practical work regarding legal maintenance for persons when licensing various types of activities in foreign jurisdictions is engaged, among other things, in assisting companies and individual traders for obtaining license to carry out brokerage and dealer activities abroad. Licensing of brokerage activities is one of the priorities for our company. Legal maintenance for licensing is provided in the following jurisdictions: Great Britain, Hungary, Germany, Cyprus, Lithuania, Czech Republic, Belize, Australia, as well as Latvia, Malta, New Zealand and Panama and other countries (you can clarify the full list when applying for consultation). We also carry out maintenance in obtaining Forex broker license. Legal system of each jurisdiction imposes different requirements on persons tending to obtain license for financial activities abroad. You can find general information on obtaining brokerage license in various jurisdictions in this section. You can apply to one of our specialists for more detailed information on each country and its relevant regulations for obtaining license to conduct financial activities by phone or in course of advisory. Law&Trust International has been engaged in processing licenses for brokerage services for a long time. Consultation for the client on all issues, including taxation, software, insurance, etc. Assistance to the client in the passportization of financial activities in the EU countries (the procedure for notifying the state authorities of a Member State of the EU by a company established in another country of the European Economic Area regarding the intention to provide brokerage services within its territory). Requirements set in each jurisdiction for obtaining license significantly affect the presumptive scope of work and the list of services provided. Requirements for the resident status of the jurisdictions. These criteria are the most general and vary depending on the requirements of the legal system in which obtaining brokerage license is requested. Please, contact our specialists or have a look at relevant section of the website for detailed information on the requirements of the jurisdiction you are interested in. Forex (Foreign Exchange) is an international structured market with large number of participating traders. 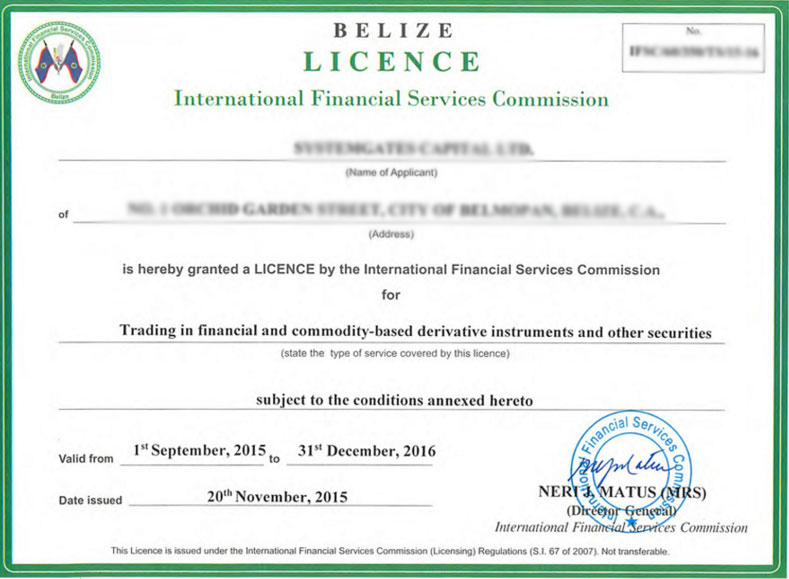 Procedure for considering the application and the necessary package of documents for obtaining Forex license varies in each jurisdiction. Our company provides services concerning legal maintenance for clients in obtaining Forex licenses in a range of foreign jurisdictions. Selection of jurisdiction depends on your purposes, the cost of obtaining license and the set of criteria imposed in a particular state. Each state has its own list of requirements for the person planning to obtain license for carrying out brokerage activities. The price for our services depends on the selected jurisdiction, the client (natural person or company), specific list of required documents and planned scope of activities. We provide legal support services when obtaining brokerage license without personal presence of the client via the Internet, which will allow to save you time.